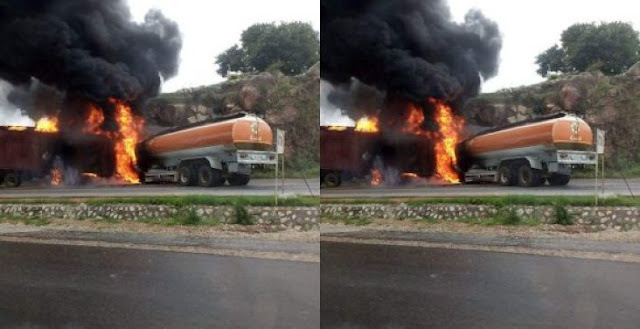 Another tanker explosion happened along Suleja road in Niger state this morning. 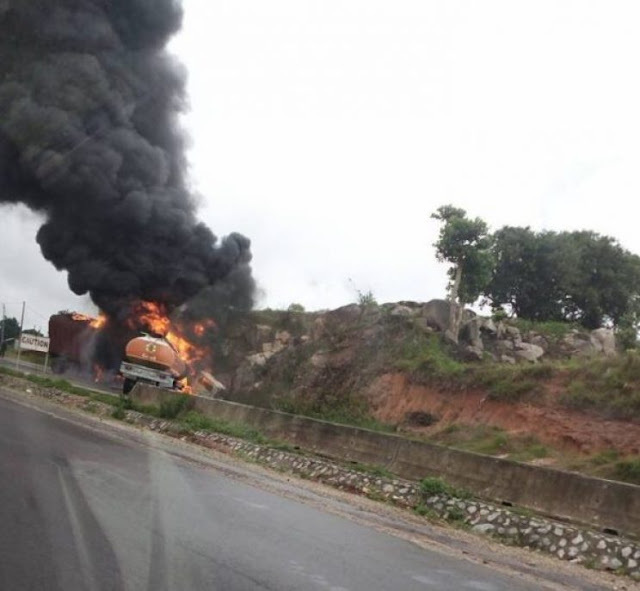 This accident occurred barely 24 hours after the petrol tanker explosion on Otedola bridge in Lagos that claimed the lives of 9 persons including a minor. the crash happened in the morning. He added that men of fire service and officials of the FRSC were on the ground to put off the fire as the vehicles are burning. taken to the hospital.“No life was lost,” Kazeem said. 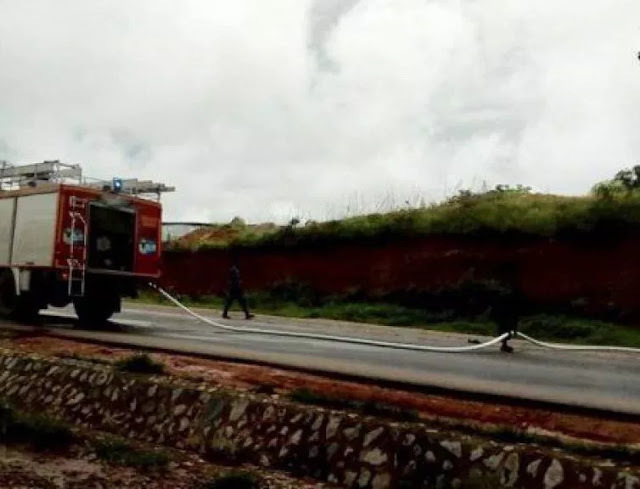 Meanwhile the location of the incident was at Mallam Karo, along Minna-Suleja Road involving a collision between a truck and a fuel tanker.